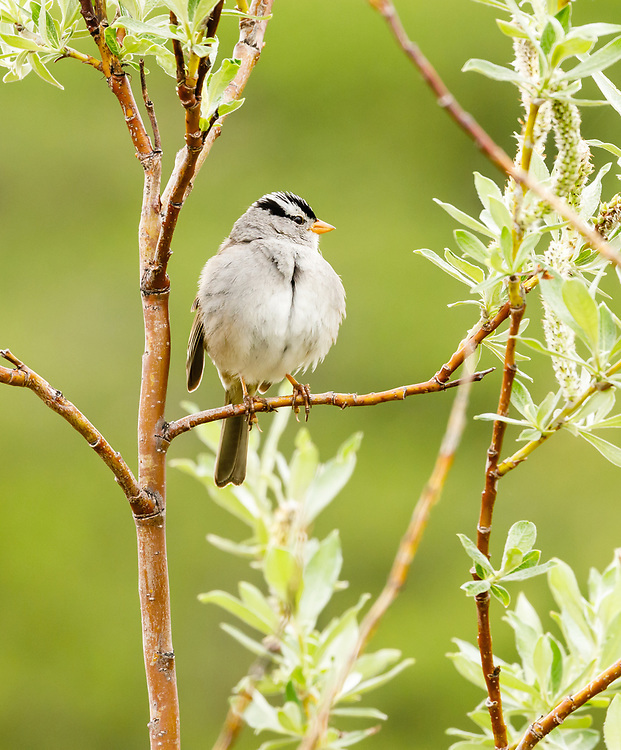 White-crowned Sparrow (Zonotrichia leucophrys) perching on willow outside of Nome in Northwest Alaska. Spring. Afternoon.